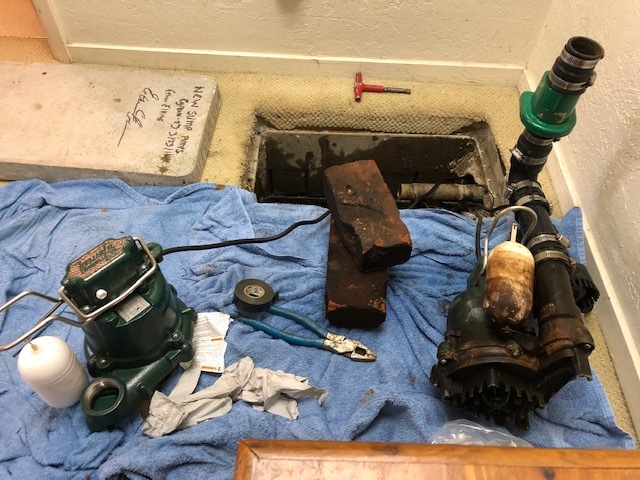 Yeah, this is what it looks like when a sump pump (or 2) fails…. 3 pumps: a back up for the main pump and a back up for the backup. 2 failed (what are those odds? ), and with a lot of folks’ help and effort, no flooding! I had enough plumbers here I called it a Plumbing Party! Plus, we had 2 sharp 3.4 earthshakes in the last 2 nights! My listing at 2515 Central #103 has had a lot of private showings and 7 of those agents have asked for the disclosures. It’s as large as a 2 bedroom house (over 1200 sf), all on one level, and has a deeded/dedicated parking space in the common garage. AND if/when it stops raining, the sewer test for the building will be performed! There are only 16 units in the complex! After last Sunday’s open house, per the mls, my Seller is ready to look at offers! As I’ve said in the marketing material…what a great location, so close to transport (all kinds), Park Street is 1.5 blocks away, close to parks, schools, library, and the Alameda Theatre! You may even think about getting rid of your car! OK..that’s a wrap. Call, text, em, if you have questions about A-town’s market!